An Okinawa firm proud of the Ryukyu customs, culture and history is reaching out to visitors and others to promote the islands. 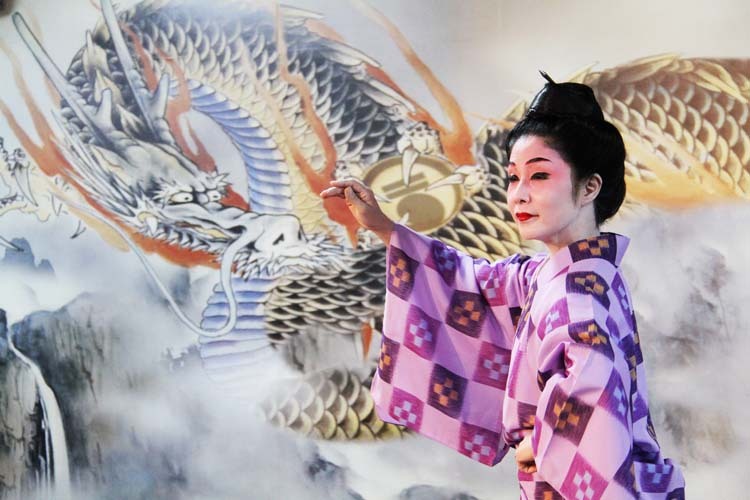 Professional dancer Chikako Uema shows visitors different stages of Okinawan entertainment. Outside gardens are free for anyone to walk around and admire. Flower beds in the garden are always in full bloom with seasonal flowers. 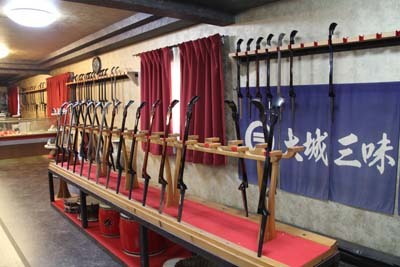 Sanshin shop not only conducts lessons, but fixes broken or damaged instruments. 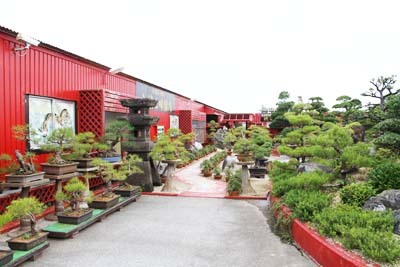 The Kouwa headquarters is located near South-East Botanical Gardens in Chibana, Okinawa City. http://goo.gl/maps/8sccs Kouwa farm is located near the corporate headquarters. http://goo.gl/maps/8sccs. Oshiro says the group’s facilities offer something for everyone, to learn and appreciate Okinawan culture and history. He says the group was designed and built because “I think we have to do our filial duty to old people who are patient and revive this island.” He says he then decided to establish his own entertainment space, garden space, and cultural facilities. The Garden Space at the headquarters office is free to visitors to look around. It is imaged after Shuri Castle. 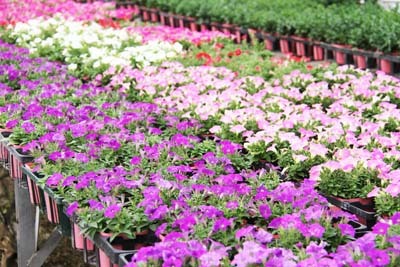 Flower gardens are also free to look around, just give a call for an appointment in advance. The gardens grow flowers for the annual Ocean Expo flower festival every year. The traditional Okinawan dance show is also free to everyone! It’s professional, not compromised just because it’s free, says Oshiro. “We really want to show genuine Okinawan culture with entertainment to people of the world, and want you to feel something about Okinawa,” Oshiro adds. Those free services are his passion. He says the biggest pleasure for him is when guests have fun. Chikako Uema a professional dancer and Ryukyu entertainer takes visitors through spiritual stages with Okinawan live music by Oshiro and his son Shintaro and daughter Misato. There is no exact time schedule for the stage performances, but people planning a visit can make an appointment with them. Misato Oshiro can speak English and encourages folks to feel free to ask. Tours of 10 or 20 people together are encouraged to visit and watch the stage. Call (098) 974-9400 for reservations. 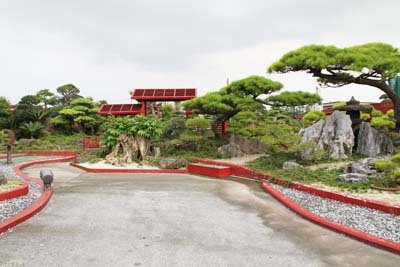 Entrance to the Ryukyu Garden in Noborikawa, Okinawa City, is lined in red.